March has flown by like a tornado – chaotic and destructive in so many ways. This past weekend… didn’t really lighten up. On Friday night, I found a… pothole. With my car. In a section of construction zone that should have been completely closed, but rather was (mostly) unmarked with no warnings about a trench, no ‘road closed’ signs, and no ‘caution’ signs of any kind. I fortunately had a witness to the event – my mother-in-law, who was following behind me from the tag agency because she’s buying our ‘spare’ car for her youngest son to use. Her car wouldn’t have come out as well is mine did from the trench encounter, so I’m grateful that it happened to me instead of her if it had to happen at all. So Saturday morning, I spent 4 hours at the mechanic’s AGAIN for them to replace the ball joints on my front axle. The drop into the trench also broke the flex valve on the exhaust system, but I have to go to a different mechanic for that because they don’t do exhaust systems at my regular one. The good news? I can file a tort claim with the city for this, because it happened in a construction zone. I just don’t know how long it’s going to take to get my money back from them. And if I don’t get the money back, I will be suing. Because I don’t have this money. On the upside, I got to spend some enjoyable time with my in-laws yesterday, and it was good to see them all. I’ve finished my Ferret A-Z posts (just waiting for some feedback from the other Ferrets for my final one before I schedule it), and I will have half of my personal A-Z posts written by the end of the day tomorrow. Other than that, there’s been no progress on my other March goals. Yes, it’s that time again! Eesh. Goal: 40 hours of editing on Catalyst, plus 20,000 new words written. Visit at least 5 new blogs each day, and comment on at least 3 new blogs each day. This goal is not coming off my #writemotivation list until I complete it. I am determined. 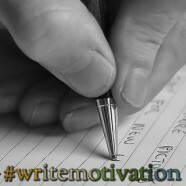 Since the A-Z Challenge will be taking place Mondays-Saturdays in April, #WriteMotivation & Camp NaNo updates will be posted on Sundays, with the exception of Easter Sunday. I will also be participating in the April Christian Science Fiction & Fantasy Blog Tour, so at some point in the last half of the month there will be more than one post in a day. So, I hope everyone else had a much more productive March than I did, and that April goes smoothly! That must have been a monster potholes. YIKES! Where I’m at, the roads are littered with potholes and swatches of dirt from where the pavement just deteriorated because of the winter. Hubby said the other day he his a pothole and it knocked the car out of gear (it’s a manual so it went into neutral.) I seriously hope you get some form of compensation. It was more like a trench, on a really steep incline out of a parking lot, in a construction zone. It should have been marked as ‘trench’ or ‘exit closed’. I think the only way a vehicle could make it through that spot and not be damaged is if it had really high clearance on 4-wheel drive. Our roads are really bad most of the time, but they’re always worse right after winter. We have such extreme temperature swings and such crazy weather it’s hard to keep up with it. I’m just glad you didn’t get hurt. Money can be replaced. There is no other Rebecca Loper. You are so busy with March! I know you can do it! Thanks! I’m glad it was just the car, too… but I’d really rather NOTHING had been damaged *sigh*. holy cow, that is one busy schedule for april. i hope you, like your poor car, survive this – but with much, much less damage. man you sure are busy! <3 Hope it goes well for you on all fronts! I know car issues are a pain in the wallet! I hope something good comes out of that as well! And soon! looking forward to your A to Z posts! I admire your devotion to filing. Onward!